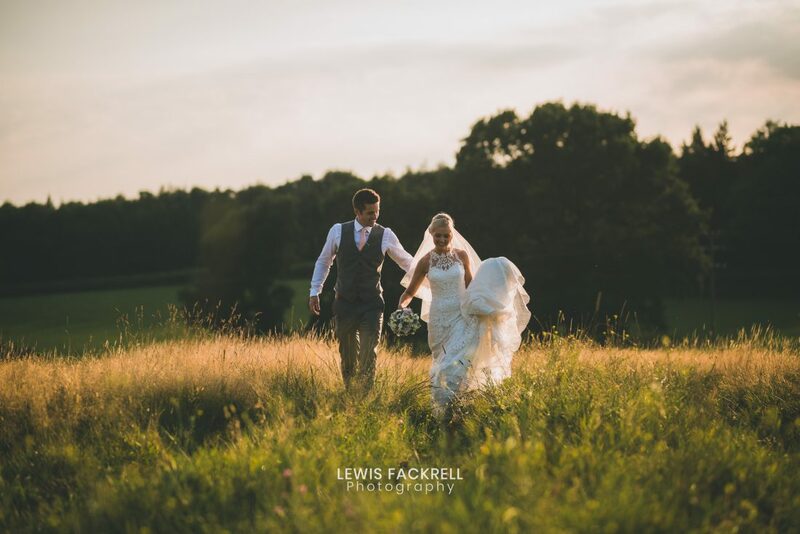 Abi & Chris Had their wedding at Canada Lodge & Lake at the start of August in absolutely gorgeous settings and the golden light as it set on the horizon. Abi and chris are one of those couples who are just super easy to photograph, they enjoy the moment and have a great time about it! Of course they were a little nervous in front of the camera at their wedding at canada lodge. Such as every couple but they just embrace it and make my work so much easier! Photographing happiness is just the best! Bridal preparations were held at Abi’s mum’s home in Pentyrch, close to Canada Lodge. Surrounded by her sisters who were accompanying her down the aisle as bridesmaids with poppy her niece as a flower girl and Sam a page boy (there’s stunning image of them below as they walked down the aisle together). Sam and I discovered we shared a mutual love for Star Wars, he insisted on showing me his figurine collection through the whole day, if only I wasn’t working! I briefly caught up with Chris as he was chilling out before the wedding at the local pub with his groomsmen. Their guests all seated, Chris eagerly anticipating the arrival of his bride to be, Abi. It was such a personal and intimate ceremony with readings and Abi’s sister singing live for them which was amazing – I absolutely love documenting moments like this at weddings! Rings and vows exchanged, Mr & Mrs Paroussis were declared married! Guests congratulating them ahead of being poised to throw confetti in a fantastic fashion – in their faces! As it was peak summer, their guests enjoyed the dry weather. Cocktails out on the lawn overlooking the lake and the large trees that sit on the waters edge. They had planned a pretty perfectly chilled wedding. It was great to see them thoroughly enjoying their wedding day amongst guests and having a great catch-up. There was also a very competitive few rounds of tug-o-war too which you can see below, I’m not going to say who won as I still don’t think it’s been fully declared today. You can read about their pre-wedding photo session at Castell coch here. The wedding breakfast and speeches were underway with Chris twin brother as a best man giving a very funny and humorous speech. Mostly about the mischief they got up to as their younger selves. It reminded me of the fun and things my twin and I got up to as we grew up. Weddings are just fantastic for reminiscing and celebrating memories together. No more than the emotional speech that was found after the passing of Abi’s grandad months before their wedding. He had written a speech prior to his death and it was found amongst his stuff after he passed. It was very moving and filled with joy and proudness of their marriage. I think I’ll remember that moment for a long time. It was soon onto their evening reception. With Chris being greek there were the traditional dancing celebrations, minus the plate smashing (boo). The bridal party dancing together in a line, kicking up their legs and chanting. It was crazy and blooming awesome to document! They of course had their first dance which then opened up to their guests and I don’t think I saw the dance floor empty at all – It’s aways great when the dance floor is busy and full of people having such a great time. I seriously need to up my dance moves and there was no other place to learn other than at Abi & Chris’ wedding! Have you booked your wedding at Canada lodge and lake and looking to book your wedding photographer? If so then please get in touch and lets arrange to meet to talk all about your wedding!